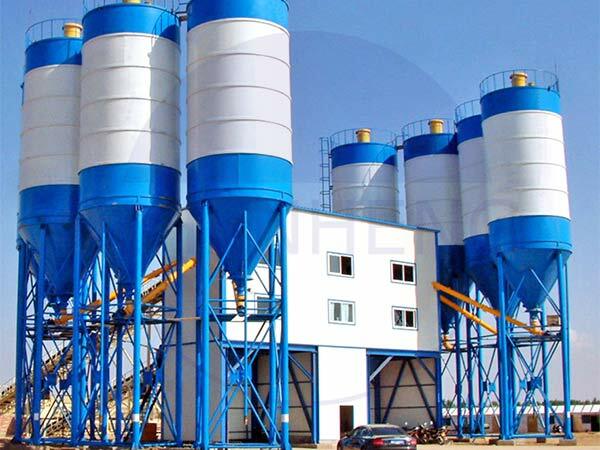 Teams Inspect and Maintain of HZS Series Concrete Batching Plant-Zhengzhou Zhenheng Construction Equipment Co., Ltd.
1. Check every bolts fastening.In particular, leaves and connecting bolt of the arm support. 2. Fill grease to every oil site,3# calcium-based grease can be used, oil concentrating pump should fill 1# lithium-based grease,or 3# calcium-based grease and 30#(20# in winter)machine oil, as ratio 4:1, to mix them into a paste evenly, fill them into the oil tank of oil concentrating pump. 3. In the cold season, Water supply system should be drained all the water. 4. Must be thoroughly cleared mixing barrel, hopper, rail racks, residual concrete on the machine. Clear batching machine, hopper, rack, conveyor belt and other parts of fouling and sand. 5. Check all electrical installations are safe and reliable,every switch are reliable and flexible. 6. Check the self-protection device of the air compressor is normally.check the atmospheric pressure is between 0.5—0.7Mpa. 7. Check whether the weighing hopper is in the free state, Whether the interference occurs. 8. Please check if weighing device is normal before every shift, and clear out jamming etc. 10. Please always check whether every working part is normal in work state, conveyor belt is off tracking, there is foreign body between belt and driven roller, if unusual happenings, please clear out at once. 11. Add butter on working part, and add one time on belt roller every year. 12. When mainterance to machine, need stop machine and close total power. 13. Batching control panel need have rain sun-proof device. 14. Stop steel, stone into sand and stone for avoid damage conveyor belt. 15. For make sure batching control panel safety, stop using machine in driving rain, thunder weather, close total power and pull down connection between sensor and batching control panel. 17. Set to weighing system as batching control panel manual books nominal way every year for making sure right weighing. Next:Six major precautions for concrete mixing station winter maintenance - do you know?